Internationally bestselling author Mishka Ben-David's new thriller spans continents, as a Mossad operative must choose between duty and love. 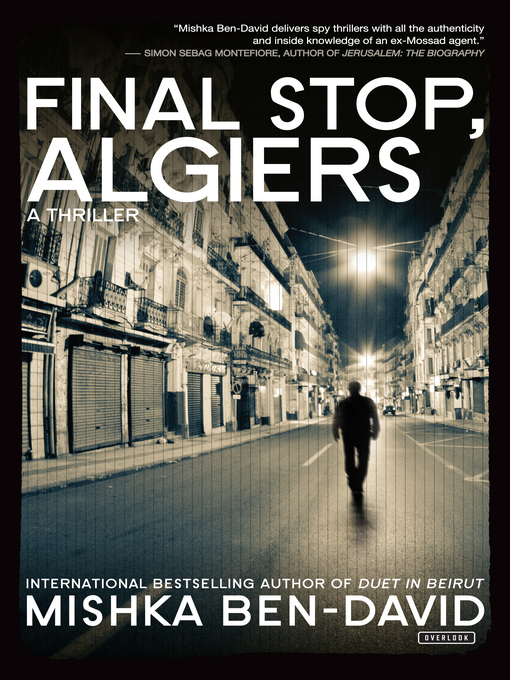 By the author of Duet in Beirut and Forbidden Love in St. Petersburg, Final Stop, Algiers is former Israeli intelligence agent Mishka Ben-David's most exhilarating novel yet. When a terrorist attack in Tel Aviv violently disrupts his life, Mickey Simhoni abandons his plans to become an artist and instead allows himself to be recruited into the Mossad. Slowly, he learns the art of spy craft the and painstaking process of building a cover, becoming someone else whom he resembles, who is presumed dead. His cover story takes him to Toronto where he meets an old flame—Niki, a girl he had been involved with in Tokyo a decade earlier. As Mickey is torn between loyalty to the Mossad and his intense feelings for Niki, the dilemma leads to a harrowing conclusion.